The smart speaker is becoming like any other household utility: ubiquitous arguably to the point of being mundane, but that doesn’t mean you should blindly explore the world of smart speakers. Rather than risking buyer’s remorse, we’ve laid out the key smart speaker features to keep an eye on when shopping around. While smart speakers are starting to show up from third-party manufacturers, it’s possible that they won’t work as well (or have all the same features) as the first-party options. What makes a smart speaker good? In a nutshell, a smart speaker needs to have a good digital assistant, while serving your needs as a standalone speaker. Because of that, your search for the right smart speaker will necessarily be complicated by a few factors. However, it is very easy to narrow your search. The first filter you can use to weed out candidates is your phone’s operating system. Have an iPhone? Go with a smart speaker that supports Siri. An Android phone? Alexa or Google Assistant. You’ll find that a lot of features are either missing or broken if you choose the wrong voice assistant, so avoiding that kind of compatibility issue is going to be your primary concern. It is possible to “pick wrong” when getting a smart speaker, and you need to avoid that. The first generation Amazon Echo features a seven microphone array with beam-forming technology allowing the mics to register voices from afar. Aside from pouring coffee from the carafe only to realize that you forgot to throw coffee in the basket, there are few things more aggravating than constantly reiterating a request or command to your smart speaker. Even if you don’t yet have a smart speaker, you likely know the frustrations of poor microphone quality when Google Assistant or Siri commands misfire and you have to bring the phone directly to your mouth. For users who prioritize voice recognition over sound quality, the Amazon Echo Dot is one of the best values available. In order to avoid this, look out for units that boast some sort of advanced microphone array. Take, for instance, the JBL Link 300 which integrates a dual, offset microphone system for far-field voice recognition. This layout effectively captures voice commands from a distance. If you prioritize voice capture over audio quality, then the Amazon Echo Dot is one of the best bang-for-your-buck options out there with its seven-microphone array. A smart speaker isn’t really that smart if it takes ample mental energy to execute the setup process and use on a regular basis. As can be assumed the more popular models are often the simplest, so if you want a plug-and-play experience, go for the Apple HomePod, Google Home Max, or Amazon Echo depending on what ecosystem you inhabit. 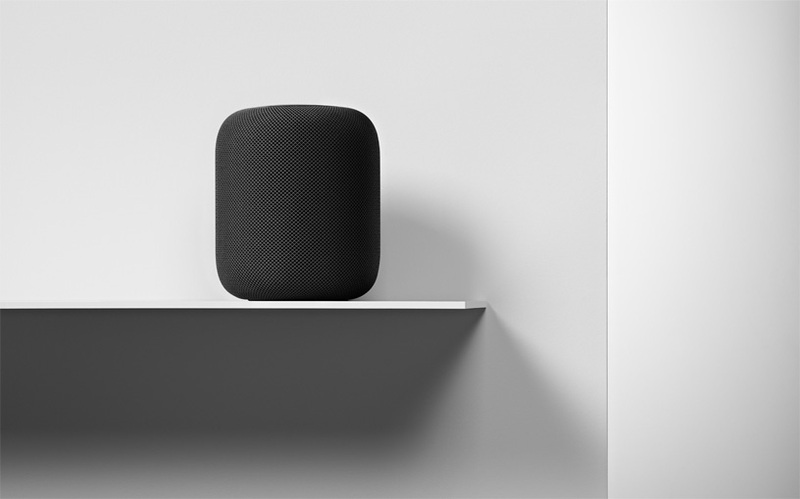 Apple The Apple HomePod is aiming to compete with the Google Home Max with its file support. Arguably as frustrating as a smart speaker that can’t perform basic commands due to poor mic quality is a smart speaker that can’t maintain a Bluetooth or WiFi connection whatsoever. Smart speakers will be able to connect to WiFi as they have to access the internet to answer our unending slog of questions, and knowing which models are reliable and which aren’t takes a bit of research. While you could run out to Best Buy and test out a few models, it’s a pain to do. Your most convenient strategy may be to scour valid, trustworthy sources that have reviewed smart speakers of interest. Fortunately, plenty of retailers have excellent return policies and worst-case scenario, you pay a nominal restocking fee. Toggling voice control off on the JBL Link 300 causes the four LEDs and voice control LED to turn orange. Yes, yes, we know we’re going to sound like your grandparents with this one, but if you don’t want your smart speaker to potentially record everything: look for ones that include a mic mute toggle. Of course, you could always just unplug it—but that just seems a hassle. What makes one smart speaker more attractive than others is highly subjective, but we recommend that you pick a design you enjoy. After all, this is your newest roommate indefinitely, so no point in picking an eyesore. Of course, it’s not all about looks, you want something that’s intelligently designed which goes hand in hand with ease-of-use. If said smart speaker has a million and one features but you haven’t a clue how to access them, well that’s poor design. What’s more, if it’s lacking basic playback controls or call functionality that would also serve as a valid strike against it. If you want an effective smart speaker that serves as a great standalone speaker, that's going to cost you. Overall, these are loose guidelines to follow rather than blindly purchasing your next smart speaker. Whether it’s for your home or a friend’s, we hope this helped to inform your decision. OK, Google, what are the best waterproof speakers?